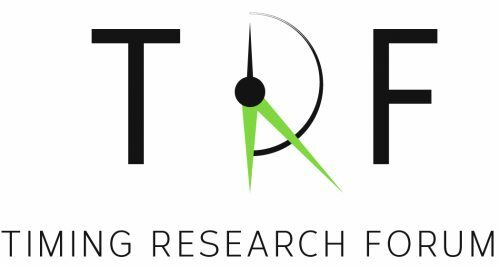 The call for abstracts and symposium proposals for the 1st Conference of the Timing Research Forum (TRF1) is now open. TRF1 is the first international conference dedicated to multidisciplinary research on timing and time perception and will be held in Strasbourg, France from October 23-25, 2017. The deadline to submit both abstracts and symposium proposals is May 1, 2017. During the submission process, please indicate if you wish to present an oral or poster presentation, and express your interest for student travel awards. All selected abstracts will be published in the journal, Timing and Time Perception Reviews. Sofia will give the Prize Keynote Lecture based on her paper – Soares, S., Atallah, B. V. & Paton, J. J. (2016) Midbrain dopamine neurons control judgment of time. Science 354, 1273–1277, that was selected by the TRF Committee as the ‘Best Timing Paper of 2016’. For further details about submission guidelines, conference program, registration, accommodation etc., please visit the conference website – https://trf-strasbourg.sciencesconf.org. We thank our current Sponsors – Wellcome Trust, INSERM, CNRS, Neuropole Strasbourg, FMTS and the University of Strasbourg and look forward to further proposals of sponsorship. Our sponsorship booklet is available here. Anyone interested in joining the Timing Research Forum can do so by following the instructions at this link.